She is the Executive Producer of Brandon T. Adams’ podcast Live to Grind, an award-winning, twice-weekly podcast for entrepreneurs. And his business partner in Accelerant Media Group that contains the Live to Grind brand under its umbrella as well as full-service branding, crowdfunding, and marketing for elite clients. Her own podcast is called Copy That Pops and her #1 Amazon Best-Selling book Copywriting for Podcasters: How to Grow Your Podcast, Brand, and Business with Compelling Copy is available on Amazon (CopyThatPops.com/book). She created an effective course to help solopreneurs and entrepreneurs with small teams to earn the “#1 Amazon Best-Seller” title without the need for an email list or marketing budget. In addition to teaching, learning, and all things podcasting, Laura loves international travel (40 countries and counting!) with her husband and their dog Tuck, lots of garlic, and re-runs of the I.T. Crowd. 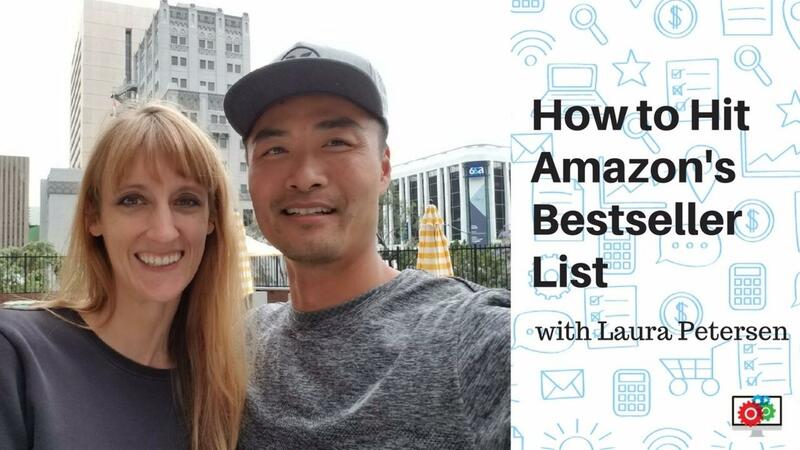 Tweet this @LaptopLaura shares her incredible Amazon Best Seller strategy on @eStoreCoaching podcast today! Laura's strategy is to price your Kindle book at $0.99 for the first three days (it's the cheapest you can have it in order to count as a best seller on Amazon in the paid category) from Monday to Wednesday. How many books did Laura have to sell in order to get on Amazon's best seller list? Listen to the podcast to find out! Are there rules on for hitting the best seller list? What format is the best to launch with? ie EPUB, pdf, physical book? Are there certain categories that are easier than others? Why should you price your Kindle book as paid instead of free? Get you Kindle or paperback copy of "Copywriting for Podcasters: How to Grow Your Podcast, Brand, and Business with Compelling Copy"
Learn how to get repeated buyers, more and bigger sales here.